OK, let’s get the obvious bit out the way first. 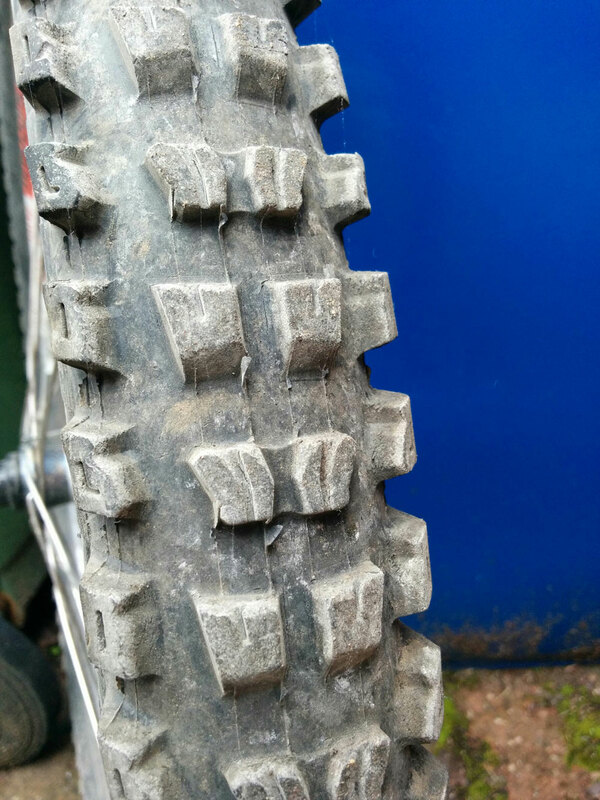 Yes, The Butcher does look a lot like the massively popular Maxxis Minion DHF downhill and all-mountain tyre – but they say imitation is the sincerest form of flattery, don’t they? Those centre lugs are a bit more curved and maybe wider apart than a Minion DHF. Unsurprsingly, the Butcher rides a lot like the Minion too: it rolls very well, has loads of grip when cornering and never catches you out. I first tried the Butcher in 26in DH form, spending a few weeks in the Alps with it on my DH bike – and later my enduro bike for the Megavalanche. It comes in a compound which feels like it’s half-way between Maxxis’ 42a Super Tacky and 60a Maxxpro offerings – and feels just right to me. The 2.3in version is about the same width as the classic Maxxis 2.5in carcass (not the newer, more accurate ones). 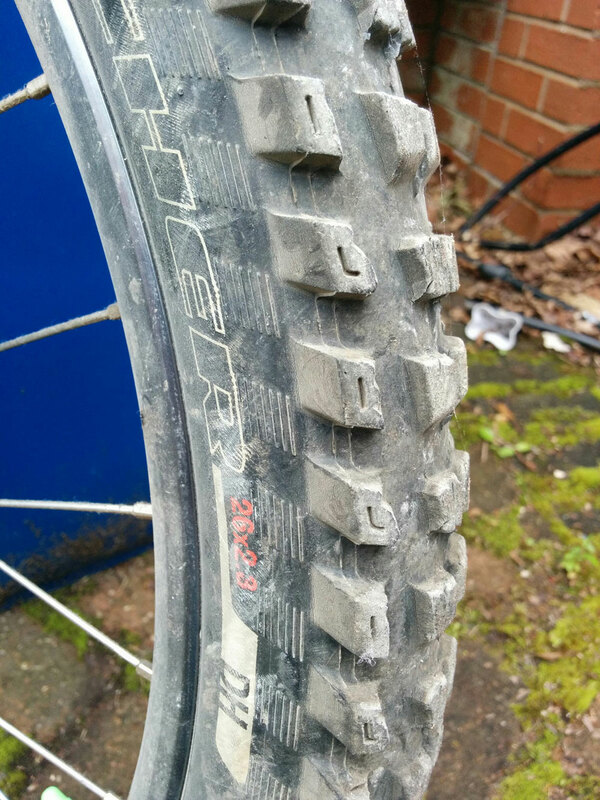 After being impressed with it as a 26in DH tyre, I thought I’d give it a whirl in XC 29er version too – and picked up a barely used tyre in the “control” casing. This is beefier than the standard casing but still pretty light, so works well on the front. Specialized make a “grid” carcass with stronger sidewalls which is a better rear option (see Purgatory review). Those chunky side knobbles do a great job when you’re cornering. The same ride characteristics remain in the 29er version, but with the added grip generated by the longer contact patch. They go up tubeless easy and I haven’t managed to puncture them yet while using as a front tyre. Overall a good option for all-round use – whether you pick the XC or DH version.